There’s no hiding it, it does rain a fair bit round these parts. But we have found a silver lining in this fact! 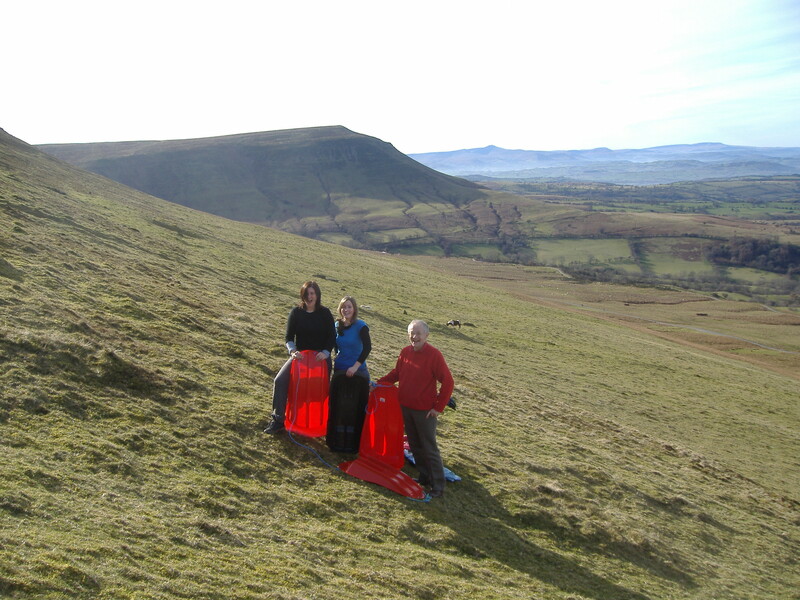 There is an area on Hay Bluff that, when a bit wet, is fantastic for GRASS tobogganing. It’s something to do with the mossy ground that makes it so slippy. 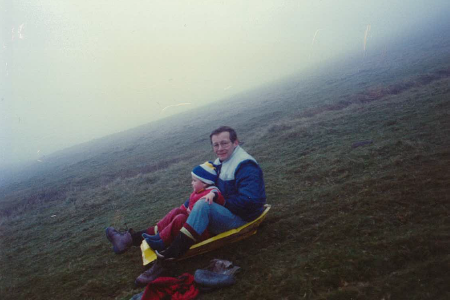 There is a fairly wide and open area with a good gradient, and with relatively few obstacles – though be careful of the odd rock, we have suffered split sledges as well as split trousers! Of course the area is great for snow tobogganing, but the road to the Bluff can be icy in winter weather. Driving directions – from Dorstone, go to and through Hay-on-Wye, turn left at the Blue Boar in the town, then left again 300 yards further on, signed posted to Craswall and Gospel Pass. About 4 miles up the hill, the road forks right to Gospel Pass, which is the one to take. Go past the car park under Hay Bluff, keeping to the left at the two road junctions, and about 500 yards on the left there is a steep, but bracken free, stretch of grassland which is the “piste”! There is a lay-by to park in at the bottom of the run. You can buy plastic toboggans in Hay.